Description Join the super stars in fierce fighting. 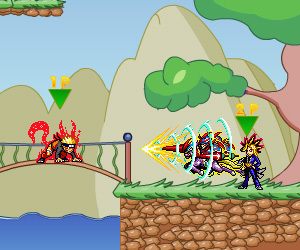 There are several places for you to choose play in and you will have a lot of fun in playing this game. Controls AD/←→ to move; J/1 to attack; K/2 to jump; L/3 to special skill; W+J/↑+1 to beat up; S+J/↓+1 to beat down.